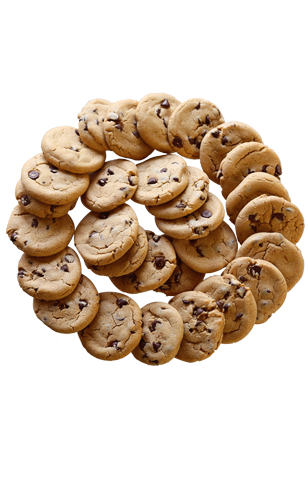 Grow your business with sweet treats from Cookie Advantage. We offer 4 different packages. Give your customers a sweet treat on any budget. Show your customers how much you appreciate them. Through the years we have helped many types of businesses retain clients through our "Thank you for your business" campaigns. From cookies to cookie cups, our sweet treats not only show your clients that you value them but our feedback campaigns show them that you are interested in their responses to your service as well. Customer retention is the key to maintaining consistent growth. The easy way to advertise with minimal effort. With each bite of our gourmet cookies, your company and services will be remembered. Cookie Advantage is a tasty way to say Thank You, Happy Birthday or Merry Christmas. You name the occasion and we'll send the cookies. "We do all the work and you get all the credit!" Simply speaking, I love your chocolate chip cookies. They have always been a "big" hit with my entire family. From the sheer freshness of the cookie to the mouthful of chocolate chips with each bite. From a business perspective, as you know I work for a software company that sells Risk Management products to the financial industry across the United States. I personally support PA and NJ and thanks to you I've been able to share my favorite cookies with my clients. Most awesome! Just had a couple of cookie brownies, soooo yummy! One of the best ways to engage and retain your customers is to engage their senses. Cookie Advantage will engage 4 of 5 senses. 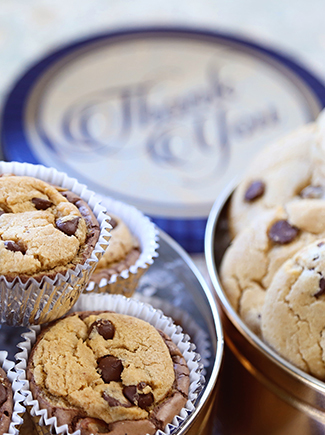 When they receive their package they will see it, touch it, smell it and taste the fresh baked cookie cups. They also will touch the custom logo coffee mugs . Every time they use the custom coffee mugs, not only will they see your dealership name and be reminded about their great experience with you but everyone around them will see your dealership advertised daily.